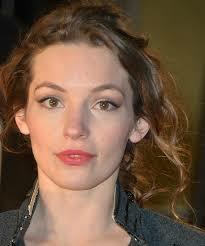 Perdita Weeks is a British actress. She is best known for television roles as Mary Boleyn on The Tudors, Lydia Bennet on Lost in Austen and Vanessa Hammond on Rebellion. Her film credits include Prowl (2010), The Invisible Woman (2013), and As Above, So Below (2014). In March 2018, Weeks was cast as Juliet Higgins on the CBS drama series Magnum P.I.. Born Perdita Rose Annunziata Weeks on December 25, 1985 in Cardiff, Wales, UK to Susan and Robin Weeks, she is the older sister of Rollo Weeks and the younger sister of Honeysuckle Weeks. She was educated at Roedean School, and studied Art History at the Courtauld Institute, London. She has been married to Kit Frederiksen since 2012. They have twin sons, Humphrey Carrington Frederiksen and Rupert Sebastian Frederiksen. *She was born on December 25, 1985 in Cardiff, Wales, UK. *She is the daughter of Robin Weeks and Susan Weeks. *She is the sister of actors Honeysuckle Weeks and Rollo Weeks.